Moonroof, Heated Leather Seats, Nav System, Panoramic Roof, [T01] TOW PACKAGE, [V02] PROACTIVE PACKAGE, [K01] SENSORY PACKAGE, All Wheel Drive. ESSENTIAL trim, ECLIPSE BLACK exterior and Graphite interior. EPA 30 MPG Hwy/24 MPG City! 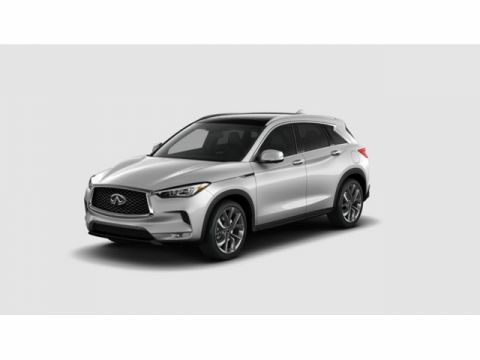 The Luther Advantage is a complete and comprehensive package of benefits designed to make buying-and driving-a vehicle from the Luther dealerships a pleasant and convenient experience. From the peace of mind that comes with a 5 Day-500 Mile Return or Exchange Policy, 30 Day 1,000 miles Full Warranty and 60 Day 2,500 miles Limited Powertrain Warranty and Free CARFAX Reports & Clean Title Guarantee on pre-owned vehicles, as well as providing Luther customers with full range of valuable discounts at participating Holiday Stationstores including 10 cents off a gallon, $6 for “The Works” car wash among other advantages and guarantees. As much as we like satisfying customers, we like keeping them even more. 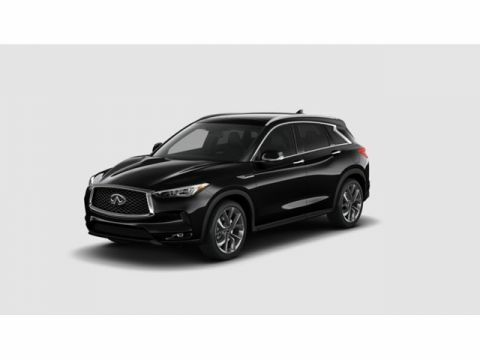 Why Buy From Luther INFINITI of Bloomington? 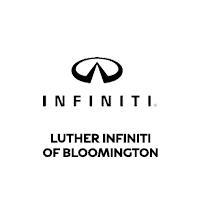 At Luther INFINITI of Bloomington it’s our goal to exceed your expectations from test drive to delivery and beyond. We will help you find the best INFINITI for your budget. We offer you exceptional pricing on new and pre-owned vehicles.